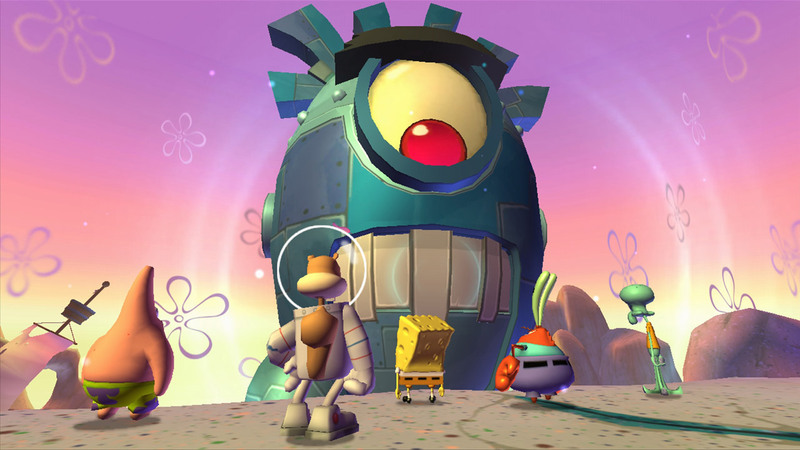 Players plunge into an all-new aquatic adventure where Plankton has evil plans to attempt to steal the secret Krabby Patty formula once again. This game features a drop-in-drop-out co-op that allows up to four players. You can play as Spongebob, Patrick, Squidward, Sandy, or Mr. Krabs as you explore and venture through memorable locations in Bikini Bottom to help stop Plankton before it’s too late! Arm your favorite characters with different upgradable gizmos like the Exploding Pie Launcher, Pickle Blaster, or the Portable Tartar Sauce. 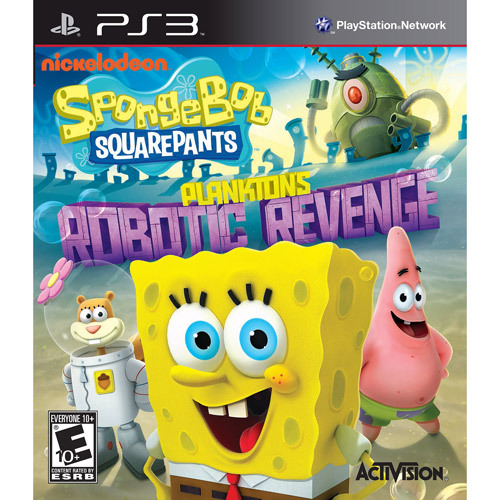 “SpongeBob Squarepants: Plankton’s Robotic Revenge”, is now availed for Playstaion 3, Nintendo Wii U, Nintendo Wii, Nintendo 3DS, and the Xbox 360 for $29.99. It is rated e 10+ (Everyone ages 10 and up). This game is wonderful, so eye catching, hilarious, pretty great plot for the young, and you easily get sucked into playing it for hours! It has easy-to-use controls for younger players. My 11 year old son was easily sucked into it, making sound effects as he went along. He got so much into the game. 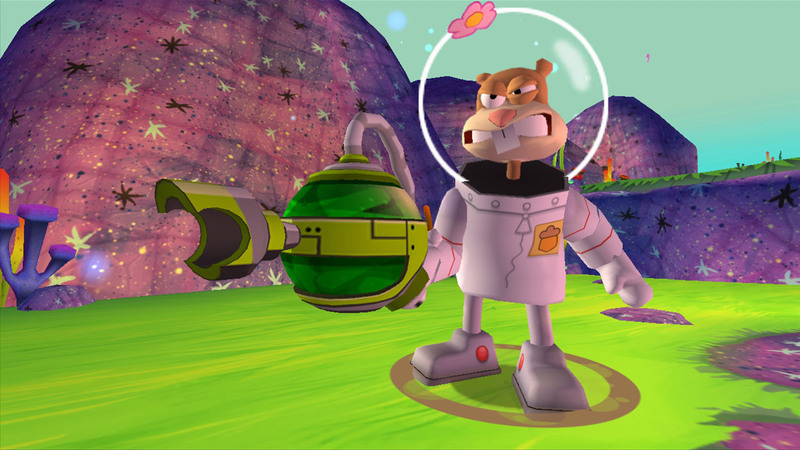 Destroying enemies with his cool gizmos and exploring all over Bikini Bottom. For being a child’s game there were some pretty challenging quests, but not too hard. There were some pretty cool features in the game, each character has a special power. For example once a character’s power ability meter is full you press Y/Trianlge to activate their power. Sandy gets a me lee damage bonus, Squidward’s gizmos will fire at a double rate, Patrick’s ground slams are two times stronger, SpongeBob Becomes invincible, and Mister Krabs collects double the scrap than any other player! After watching my son play it for so long I decided to take a turn, he helped me a lot through the way. Showing me how to take out enemies by Ground Slamming, combo attacks or using my gizmos. I ground slammed a lot haha! The graphics on this game are nice, my son was happy another SpongeBob game came out. He has one for his DSi and one for the GameCube. 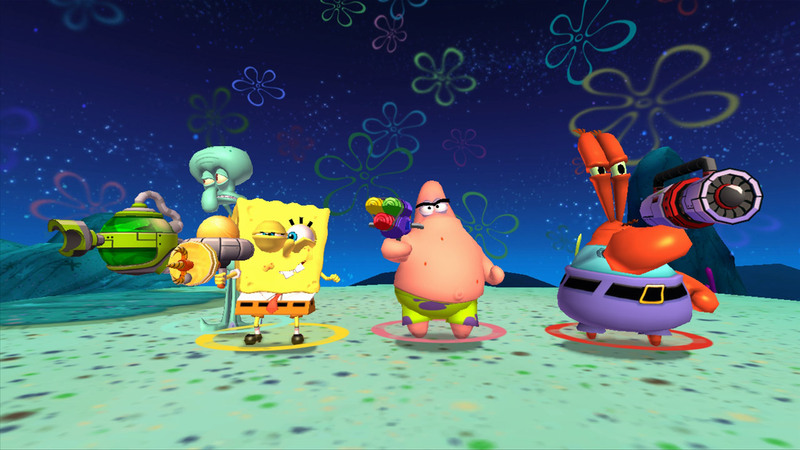 The cool thing is this game takes off after events from the last game, SpongeBob Squarepants: Battle for Bikini Bottom. Don’t be afraid to jump right into action and take a turn as each character to stop Plankton and his big new shiny friend right in their tracks! This is a great game and would make for a special holiday gift. Purchase Spongebob Squarepants: Plankton’s Robotic Revenge on Amazon.com.